‘Rani Padmini’ Movie Review: An adventurous take on feminism which is delectably pictured with commendable performances!!! What is it about: It’s a Malayalam adventure drama, which breaks the stereotype shackles of women in our society. 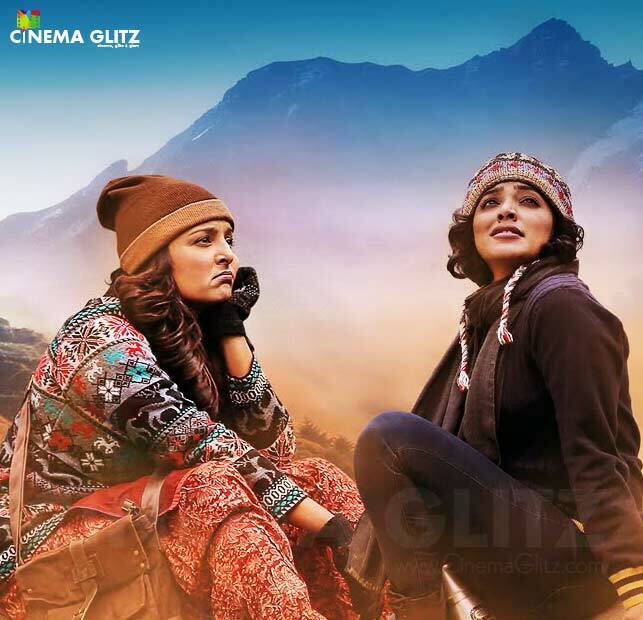 Rani (Rima Kallingal) is a happy go lucky character from urban culture, whereas Padmini (Manju Warrier) is from suburbs trying to learn the nuances of the urban culture. These two cross paths at one point, from then it’s an adventure directed by Aashiq Abu, from the fame of “Salt ‘n’ Pepper” and “22 Female Kottayam”. Why it’s disappointing: The movies wanders a bit in the first half trying to make its point, which in fact gives you an impression that the director might have got lost in thoughts. What to watch out for: Women in our society have been labelled for few duties, if they fail to perform them, they are called names or have been disrespected. Keeping this in mind Aashiq Abu brings you a film which makes a good point about feminism laced with adventurous rides. The movie has many moments which can be cherished by every women, which might have happened in their own life. The lead characters make a great case in bringing out the genuine emotion, which hits you right on spot. Aashiq keeps all the traditions intact, at the same time questions its methods subtlety. He takes you on an adventure which becomes interesting as the ride goes on. Malayalam films have broken the stereotypes and have started to explore a different avenue, the young generation directors have taken the industry to a different level giving it a universal appeal. These days’ filmmakers from other industries are eager to acquire remake rights for their films and Rani Padmini could be another one in the list. Manju Warrier, who was last seen in “How Old are You” comes back with a refreshing character which demands you to fall in love with. As Padmini she flutters around with sweet innocence that captivates you instantly. She did a commendable job. Rima Kallingal, she’s another iconic actor from her industry who has a peculiar character which reflects on screen. She’s that free bird, which most of the women prefer to be, but hates to admit the pressure they face from the society. Rima as Rani did a great job. The rest of the supporting cast were well derived with apt actors playing the field, like the gangsters and the news crew who did a great job in making us laugh all the time. The technical team have done a tremendous job, cinematography by Madhu Neelakandan was splendid, and the adventurous trip were captured with great thrills. The movie showcases a Himalayan Rally in backdrop, the scenes which involved high speed racing sequences were perfectly captured with no glitches, and it was a treat to watch. And these perfect shots were well synced with great sound mix. Saiju Sreedharan did a good job in editing this flick keeping it sharp. Verdict: Aashiq Abu brings another film which questions the methods of society with a retrospective touch that is meticulously pictured and well carried by Manju and Rima, making this no male superstar film a great success. 'Rani Padmini' Movie Review: An adventurous take on feminism which is delectably pictured with commendable performances!!! Jo And The Boy Trailer Review: Manju Warrier and Sanoop are going to capture your undivided attention!! !